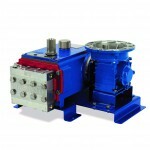 WANNER INTERNATIONAL reports it has added Hydra-Cell G25 and G35 pumps to its list of models available in 316L stainless steel, with Tri-Clamp ferrules and polished internals, for sanitary applications. Tri-Clamp fittings are said to be easy to assemble and breakdown, making them ideal for short term process lines and equipment. Used extensively in food, drink and pharmaceutical processing, their smooth crevice and pit free interiors offer non-contaminating, superior corrosion resistance and long service life. Wanner says in order to meet clean-ability requirements these Hydra-Cell pumps have completely new manifolds with redesigned galleries that allow access for polishing to a certified surface finish. All wetted parts (Tri-Clamp ferrules, manifold, valve plate, valves, valve seat, springs, retainers) are polished to either Ra 0.4 or 0.8 µm. WANNER INTERNATIONAL says it will be exhibiting the latest developments in high-pressure coolant delivery on stand 8E78 at AMB Stuttgart. WANNER INTERNATIONAL has announced it will display its full range of Hydra-Cell diaphragm Process and Metering pumps at Achema 2018 on Stand D51 with the theme: “Hydra-Cell seal-less pump technology… It’s different” and says the unique and advantageous differences will be highlighted with product displays, working demonstrations and cutaway pump models. WANNER INTERNATIONAL has introduced the Hydra-Cell Intelligent High Pressure Coolant Pump that it claims can save machine tool operators up to 70% of their pump energy costs. 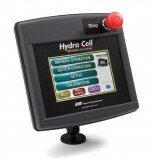 WANNER INTERNATIONAL has announced it has launched a new range of Hydra-Cell. 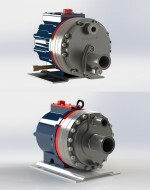 Seal-less, high horsepower, quintuplex diaphragm pumps that it claims eliminates the expense associated with seals and packing, leakage, external lubrication, and emissions. WANNER INTERNATIONAL says its exclusive new "Control Freak" electronic controller provides motor speed control for Hydra-Cell Metering Solutions pumps (or Hydra-Cell bare shaft pumps in metering applications) and is able to control multiple pumps with Variable Frequency Drives (VFDs) from a single point and because motor speed is directly proportionate to flow rate in a Hydra-Cell pump, high accuracy can be achieved through the use of VFDs.